Easter Seals South Florida offers programs for children of all ages. Studies by the American Academy of Pediatrics have confirmed that a child's brain structure is influenced significantly by their environment and experiences during the first few years of life. The Easter Seals South Florida Child Development Center in Miami is available to all pre-school children from birth to school age. Although Easter Seals is know for its work with persons with disabilities, the Child Development Center has an inclusive program for typical learners as well as children with special needs. Easter Seals South Florida has been educating 488 young children in six Head Start programs (480 Head Start slots and 8 Early Head Start slots). The staff at Easter Seals continues to provide comprehensive early childhood care, case management and education sevices for pregnant women, infants, toddlers and pre-school age children. 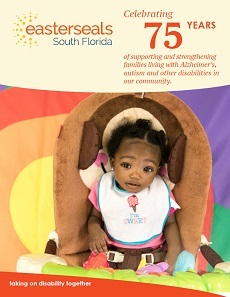 Find an Easter Seals South Florida Center near you. Easter Seals Academy: Autism Elementary School is a coeducational day program serving students from Kindergarten through fifth grade. The school incorporates a variety of teaching methods, materials and techniques into its unique education center. 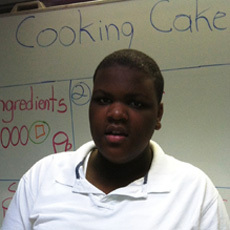 For youths ages 13-22, Easter Seals South Florida offers a unique educational program involving academics and cooking! The Culinary Arts High School in Miami is a great opportunity for youths with special needs to learn functional skills in a restaurant-style kitchen, along with a classroom education where they earn a special diploma. 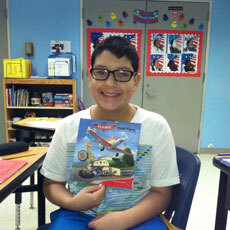 Easter Seals South Florida provides both After School and Summer Camp Programs for FREE! After School services are offered to elementary and middle school children (6-12 years old) who attend schools in Miami Dade County. These services are offered in three Miami-area locations. The program includes literacy and homework support, physical fitness, social skills and a variety of enrichment activities involving music, art, and dance. Easter Seals South Florida offers two Summer Camp Programs. The Early Childhood Summer Camp is open to young children ages 3-5 years old (slots for 6 typical children and 24 students with an Autism Spectrum Disorder or related disabilities). The Youth Development Culinary Arts Summer Camp is open to 39 youths ages 13 -22 (slots for 9 typically developing role models). This camp provides independent living, job knowledge, life skills and hands on culinary arts training. Find out if our After School and Summer Camp Programs Programs are right for you.